Cover of Superman: Secret Origin Deluxe Edition Hardcover (December 2010) Art by Gary Frank. Welcome to a new review show on comic books. 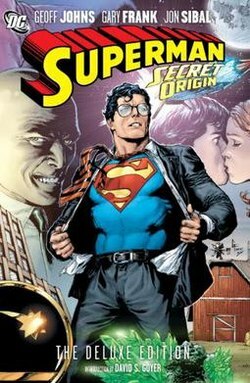 For my first review, I decided to go with my favorite comic of all time, so far, Superman: Secret Origins. 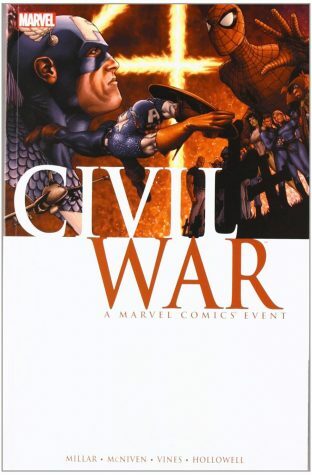 This book is written by Geoff Johns with art by Gary Frank, who have worked on other book such as Batman: Earth One, Superman: Brainiac, New 52 Shazam, and so many more. I think what I like most about this book is the storytelling because Geoff Johns takes a story that would probably take two books to complete but finishes it in one. Gary Frank does a great job in showing the characters emotions. Gary Frank even decided he wanted to make Superman look like Christopher Reeve, one of the greatest portrayals of Superman on film. The book begins with a young Clark Kent at 13 years old getting used to his powers. After his adoptive parents make him a suit out of the blanket they found him, he goes out fighting crime and saving people as “Superboy”. Meanwhile, a young Lex Luthor runs away from home and finds a fragment of a green rock, later to be named “Kryptonite”. Years later, Clark Kent now a grown adult moves to Metropolis, only to find it to be a crime ridden city. He also finds out Lex Luthor is now a millionaire and runs a science company that helps improve people’s lives via Lex choosing a person. After Clark Kent gets a job at the Daily Planet him and Lois Lane go to A Lexcorp press conference. Lois sneaks in because Daily Planet staff are not allowed in. After Lois falls off a building, Clark decides to unveil his identity of Superman, only to find out nobody can trust him. Slowly over the course of the book, people come to trust Superman after he stops Rudy Jones who became a parasite after eating a donut he dropped in the path of chemicals. At the end of the book, Superman defeats a soldier named John Corben who has a kryptonite heart in a surgery by Lex Luthor. By the time Superman defeats him, everyone begins to trust him because the soldier was harming civilians. By the end of the book, I feel like it is trying to convey a theme of It may take a while to be trusted, but when you are it is worth the wait. If you want to start reading any Superman comic, or even comics in general, I recommend starting with this book.